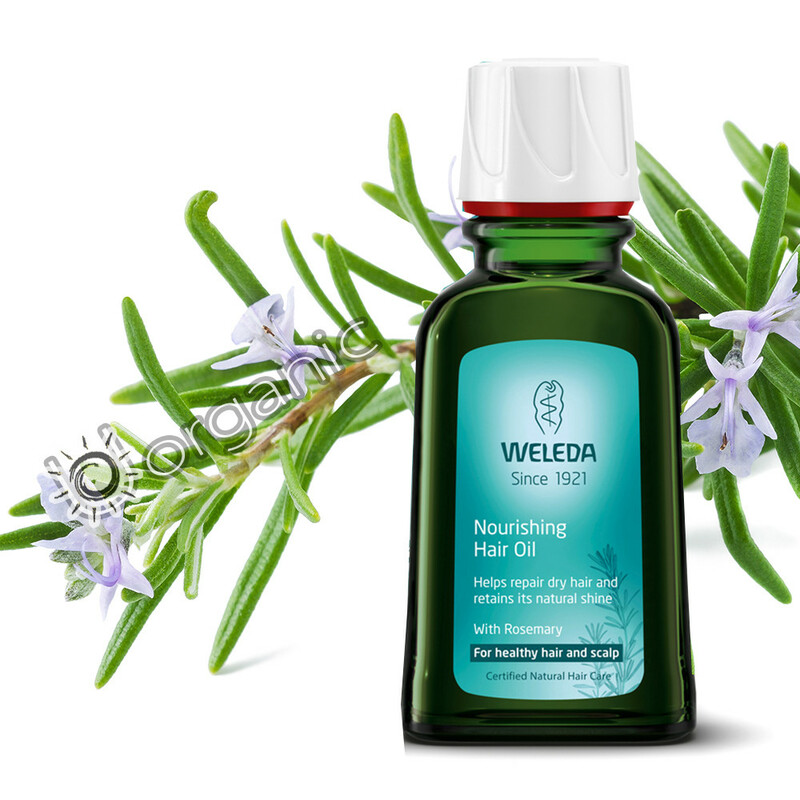 The mild formulations of the holistic Weleda hair care products will result in a healthy scalp and naturally beautiful hair. This nourishing and revitalising composition of rosemary, clover and burdock root leaves hair feeling smooth and silky. The natural oil nourishes, provides deep conditioning, adds shine to the hair and makes it more manageable. Ideal for a relaxing and calming scalp massage. Usage: Apply a few drops to wet or dry hair as a grooming aid. For intensive care massage into hair ends evenly. Ingredients: Arachis Hypogaea (Peanut) Oil, Trifolium Pratense (Clover) Flower Extract, Fragrance (Parfum)*, Arctium Lappa Root Extract, Limonene*, Linalool*, Geraniol*, Coumarin*.